We will re-create the maps both in a whole form and then in sections relevant to each street. 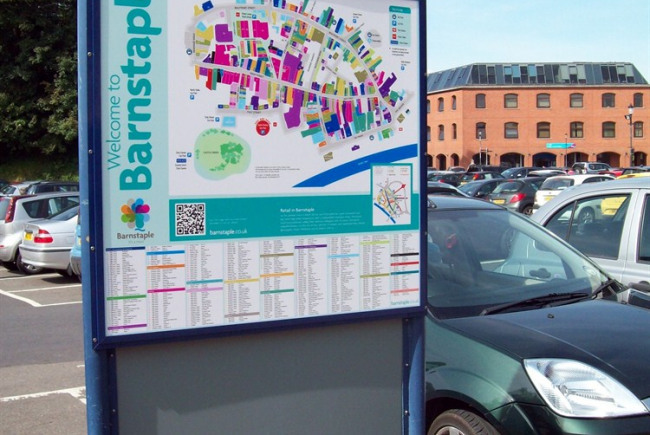 We know that visitors already find the paper versions of our maps extremely useful- this idea is an extension on that and serves to both help the visitor as well as the local businesses in highlighting where they are situated and what they have to offer. The frames are designed to be vandal proof and the material the maps are printed on is graffiti proof. We have created the map -a local design company will design it and install it. Business Improvement District (BID)Barnstaple is a not for profit company which seeks to increase footfall and enhance the vibrancy of the town centre. There are four key strands to the five year plan which include Marketing& Promotion, Events & Entertainment, Accessibility/Signage/Information & Town Centre Attractiveness. BID Barnstaple is mainly funded by a 1% levy based on the rateable value of each individual business premises situated in the core town centre- this money is then spent on delivering the strands of each of the four main projects listed above. BIDBarnstaple is now half way through it's five year term and continues to deliver additional benefits to the town. One of the popular improvements includes better street signage and we are continuing to add to the signage project, the next phase will show in detail the businesses in each individual streets and more large maps at welcome points into the town centre. 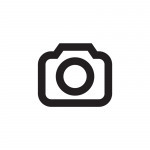 Project Delivery Manager: BIDBarnstaple The Project Delivery Manager takes legal responsibility for receiving and spending the funds raised and ensuring the project is delivered. Contractor: Accord Group The team responsible for building or installing the project.